Microsoft gears up for tablet-version of Windows next week: Windows 8? From a look at the history of Microsoft this is no new for their CEO’s to present some of their important products on a stage. Even Co-founder Bill Gates did it a decade back and so did Steve Ballmer last year. This time Windows Chief Steven Sinofsky will show off an early version of the touch enabled, tablet-friendly operating system, which is code named as Windows 8, but only to the independent developers at their annual conference in Anaheim next Tuesday. According to Todd Lowenstein, Portfolio manager of HighMark Capital Management (Microsoft shareholder) commented as investors are hungry to see Microsoft to flow with the market as they have been lagging behind and surpass the other giants in the business, to demonstrate they truly are an innovative company. 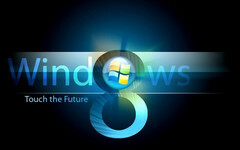 The first generation of touch-enabled tablets running Windows 8 are expected on the market in about 12 months. This makes Apple to have a lead of two and a half year with its iPad which has already sold 29 million units. Even Google Inc’s Android software has already started to grip the market and even may get boosted by an expected Amazon.com device. Well to compete in the market with Apple and others, Microsoft needs to tune up a lot of things. There are about 425000 applications available for downloading in Apple iPhone or iPad, while Windows phones provide only 30000 applications for the users. This is expected to grow when Microsoft launches its own app store with Windows 8. The developments in different sectors done by these developers will help Windows 8 to compete in the market. Though it’s a long process and we will have to wait to see how all these processes. > Notebook / Laptop Reviews and News > News > News Archive > Newsarchive 2011 09 > Microsoft gears up for tablet-version of Windows next week: Windows 8?